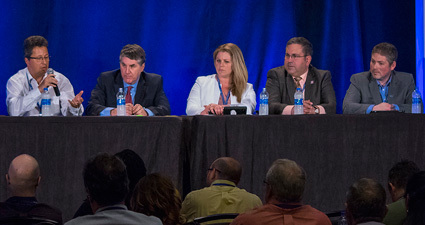 The class is organized into Session 1 and Session 2 over two days. Participation in Session 1 is strongly recommended for those students who wish to participate in Session 2. During Session 1 on Sunday May 19, the instructor provides background and motivation for transitioning to MBSE from a document centric approach to systems engineering, and then provides an overview of how SysML is used to represent systems, and an overview of a MBSE method to specify and architect systems. 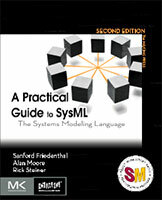 During Session 2 on Wednesday May 22, the instructor delves into SysML language concepts, and provides basic tool instruction to guide students through the development of a model of a simple system using Cameo Systems Modeler. The following books that the instructor co-authored will be available for purchase. 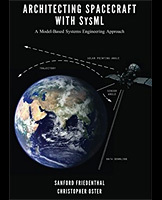 Architecting Spacecraft with SysML ($24.95 through Amazon, provides straightforward method and example model using Cameo Systems Modeler).